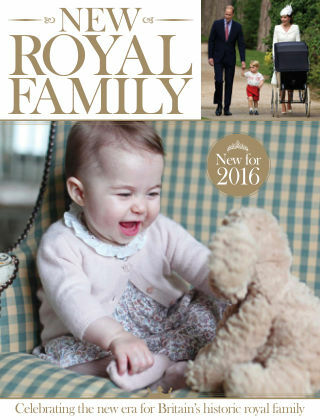 With Readly you can read New Royal Family and thousands of other magazines on your tablet and smartphone. Get access to all with just one subscription. New releases and back issues – all included. The story of Prince William and Catherine Middleton is one that has captured the imagination of the world. In New Royal Family, we examine not just the immediate family that are paving the way for George’s eventual reign, but also the history of royal births and how tradition still plays a large part in the lives of the royal family. We chart the relationship between Catherine and William, from meeting at university to their marriage, watched by millions. We also take a look at the first year of Prince George’s life, from his christening steeped in tradition, to his first public engagements, and the new addition to the family, Princess Charlotte. This is the story of a monarchy for the 21st Century, at the same time both incredibly historic, and excitingly modern. Featuring: A Low Key Courtship - Discover the story of Catherine and William's first years as a couple. Careers - How did the future Duke and Duchess of Cambridge spend their years before marriage? The Wedding - Take a look behind the scenes of the most high-profile wedding of the 21st Century. Additions to the Family - From George's first year, to the birth of Princess Charlotte, find out what the future holds for the growing Cambridge family.